££££ King crab: The most luxurious crab from our range! The king crab’s reputation precedes itself globally. Our king crab is fished in Alaska and Norway and shipped to us frozen. One full leg will serve one person. A whole large cluster (1200g+) would serve 4 people generously. Cooking king crab from raw will yield the best results, but this isn’t always practical as the large raw clusters will not fit a standard domestic boiling pot. £££ Snow crab: Snow crab could be described as the younger cousin of the king crab. The snow crab comes from the icy cold polar waters. The meat is pinky-white, delicate and sweet. We sell snow crab clusters and snow crab meat that are both cooked. The meat is convenient but the clusters can be fun to eat getting hands on and working the meat from the legs. ££ English Brown crab: The English brown crab may sound humble when compared in the same lineup as the king crab but it’s claw meat is world class. We sell English crab every which way – dressed, claws, whole, white meat, blended meat and brown meat. ££ Soft shell crab: The soft shell crabs are ready to be cooked. They are most commonly fried and eaten whole. It’s become quite popular to have a deep fried soft-shell crab burger. Perhaps you can try it and let us know what it’s like? ££ Spider crab: Our spider crabs are fished in Cornwall. They’re a lesser known British crab that are striking to look at and are seasonally landed. Unfortunately the meat content can be variable from spider crabs. They offer a fantastic spectacle as a centerpiece for a dinner table. £ Blue crab: We sell Asian blue crab legs that are imported frozen and Greek whole blue crab. The meat to shell ratio is lower than other species and they are commonly used in curries and other such dishes. 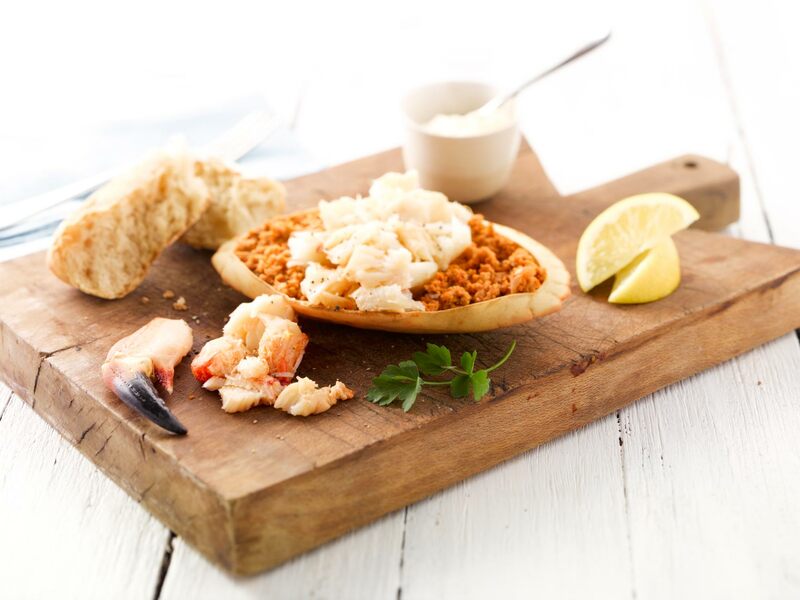 Dressed crab: Picked, prepared and dressed by experienced shellfish workers in Devon using British brown crabs. Each dressed crab serves 1 person. Crab clusters: The cluster describes the crabs shoulder, legs and claw arm – as a whole piece. ‘Clusters’ are prepared from large crabs such as king crabs and snow crabs. These make great presentation pieces. Crab claws: Our crab claws will always be cooked. The English crab claws can be quite tricky to get into, so have a shellfish hammer at the ready. The king crab claws are usually scored for easier access to the meat. Crab meat: Meat is by far the most convenient way to eat crab. 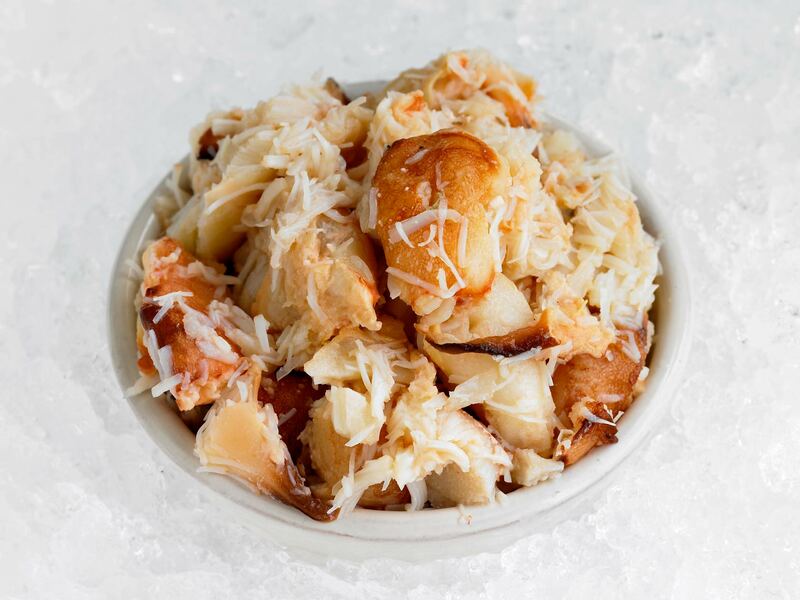 Our crab meat will always be cooked. We offer crab meat from the snow crab, king crab and English crab. Whole crab: Whole crabs are fun to pick and ply the meat from but do be ready to work for your meal in some cases. The spider crab is a party piece but when it gets down to getting the meat out it can be quite tricky for the amateur. Prime sections: Prime sections are the best section of the upper leg of the king crab. These sections offer the best meat to shell ratio from the king crab range. We offer both cooked and raw king crab prime sections. Larger strips of sashimi are better to give you more flexibility when cutting to shape. Sake – salmon, maguro – tuna & hamachi – yellowtail kingfish are the most popular sashimi fish we sell and serves as a great starting trio. Our two main sashimi cuts are back and belly. What’s the difference? The belly generally has a higher oil content and seems to be preferred by seasoned sashimi connoisseurs. Back is usually cut thicker and is the preferred starting point for beginners. Make nigiri! Pick a back strip from you preferred sashimi fish (over 140g), cut thin slices and place them on small balls of Japanese sushi rice. Watch this video to see how to make it. Our ebi prawns come in an easy to use tray. They have been cooked, cleaned and split perfectly ready for your sushi and sashimi needs. We offer a sashimi selection pack that has the sashimi essentials and 4 types of sashimi fish. The selection changes from month to month depending on what’s available. Our uni comes from wild Canadian sea urchins. It’s the pinnacle of the raw fish experience. We only have 30 packs left and that may be it for the year, so if you want to try this unique experience get an order in soon. As a rough guide…150g per person would be plenty. Eating out on Valentine’s day is rushed, expensive and increasingly overrated. Eat in, and eat spectacular fish. Your other half will be impressed with your refined choice of sashimi, lobster or miso marinated black cod. We’ve suggested a variety of seafood that will suit a couple for dinner. Our fillet steak packs are a good place to start, each pack contains two even steaks that are ready for the pan. If you’re feeling more adventurous how about a sushi course with our sake-salmon and maguro-tuna. A king crab cluster will be the ultimate gesture and a fine meal for two. Valentine’s day is Thursday 14th February. We suggest taking your delivery no later than Wednesday 13th February just in case there is a delay in delivery. Below is a list we have compiled of the top 10 fish and shellfish we can offer you for Christmas 2018. We base our list on 20 years of selling fish at Christmas and what’s the best quality right now! Every year, we hold a tasting session to review competitively-priced smoked salmon from many smokehouses. The favoured pack becomes our FishRjumpin choice. Good value is essential, but taste and texture are the prerequisites. Our new selection in July 2018, was an easy winner. Probably the finest smoked fish of all… well worth the rather steep price. Our eel is smoked in the UK. Some people like the delicate thin fillets from smaller eel which will give you up to five fillets per 100g. 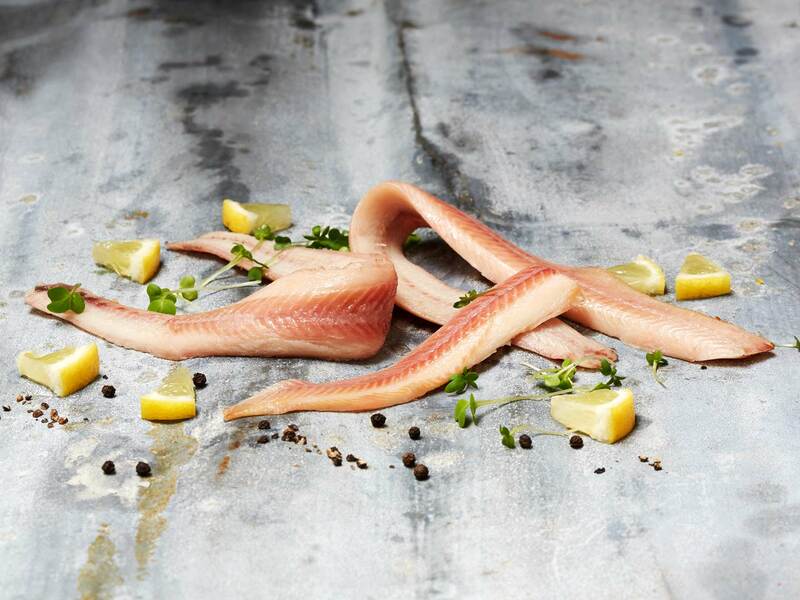 Others prefer strapping great fillets from large eel – where your 100g pack might contain only half a fillet. So we offer a choice (although we will not always have both in stock). Our eel is supplier is a member of the Sustainable Eel Group. Scampi is the meat from inside the tail of the langoustine. These grades are rarely seen outside the smartest restaurants and hotels, and despite the prices, peeled scampi is one of our most popular items. The Scottish scampi is unsurpassed. XL size contains about 12 pieces of scampi per 190g pack – that’s around 16 grams each, which is a serious mouthful. Size L (when available) are about 10g each – which is still a huge piece of scampi. Our peeled scampi is unique because we use no glaze (added water) when freezing. We always sell 100% scampi and will never compromise on this. If you like a coated oven bake scampi we also offer great battered scampi and breaded scampi options. Food of the gods! Also known as crawfish, the rock lobster has no claws, so we sell just the tail. Unless you’re dead set on the visual spectacle of a traditional lobster with claws, rock lobster is the best way to enjoy this fish. About 90% of the weight is meat, whereas in a clawed lobster, you only get about 33% meat. And the meat is much easier to deal with, being in a single substantial piece rather than divided up between the tail and claws. The shell is easy to remove following the instructions included on our label. Our rock lobsters are from the Caribbean, usually the Bahamas or Nicaragua. 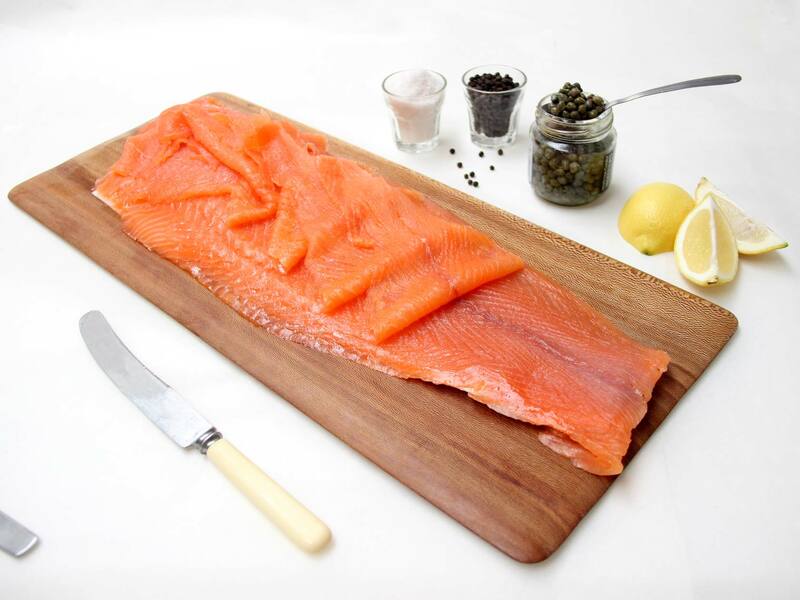 Our smoked salmon sides are smoked using Scottish fish. The sides are long sliced. 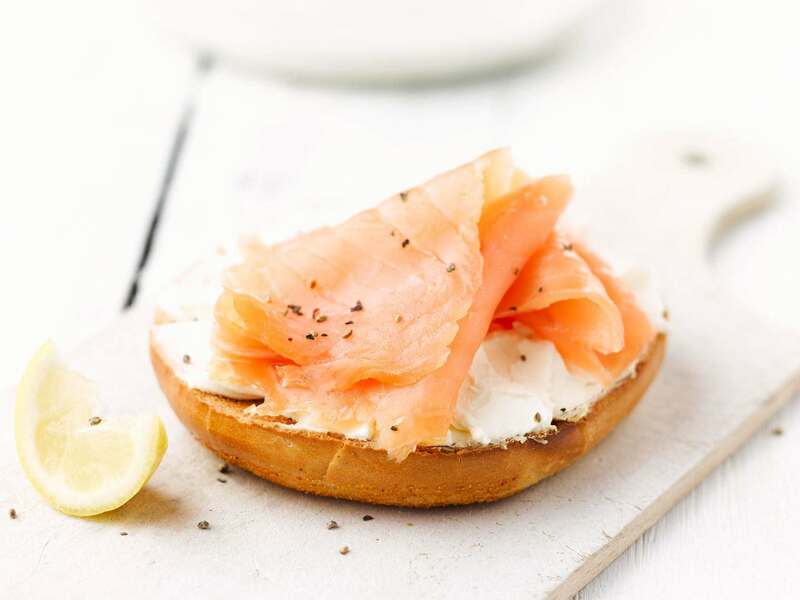 This means they are horizontally sliced from the bottom of the fillet to the top and you will get luxurious 30cm – 50cm slices of smoked salmon. A 1 kg side of smoked salmon will generously feed 10 people. You will be delivered the side of salmon vacuum packed on a gold board. When serving the side cut it from the plastic but leave it on the board, it will make it easier to serve the salmon. The genuine Morecambe Bay article ready to eat, in clarified butter. The traditional accompaniment is a generous pile of thinly sliced bread and butter and a pot of tea. But you should try tipping a pot onto a very hot crispy baked potato. We have a new contender. It has a slightly lower shrimp content but our taste test rated it at least the equal of our longstanding offering. 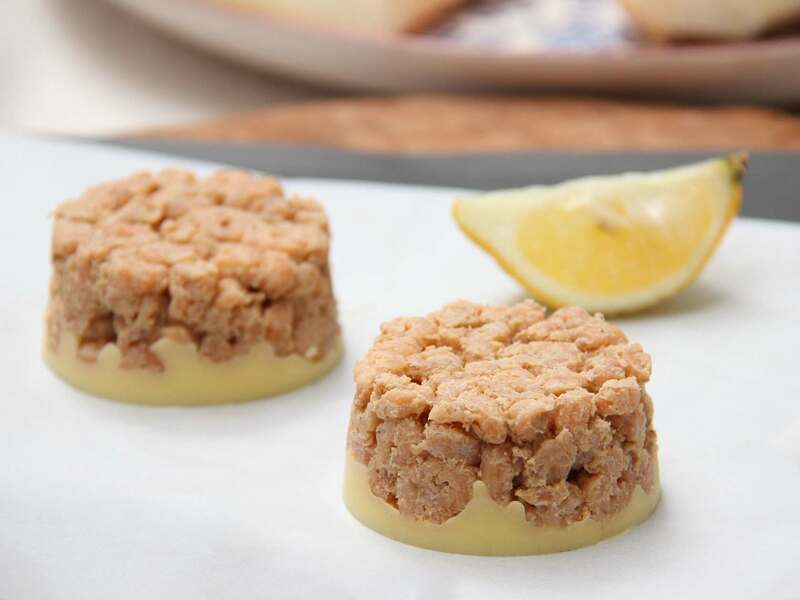 Fancy something similar but different?… have you seen our potted crab? 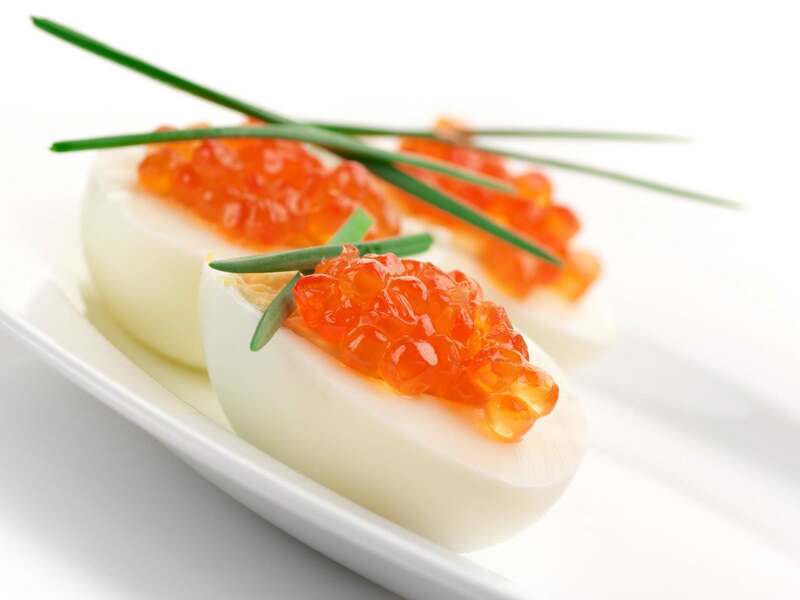 Keta is a beautiful, bright orange salted salmon roe – also known as saviar – from wild Alaskan salmon. Its intense taste means you should use it sparingly. Great for garnish and sushi. Keta comes in a jar and is one of our few products which is not frozen (although you can freeze it.) It’s pasteurised, so our stock would always have three months of shelf life and usually a lot more. It’s good for 10 days after opening. We normally have two grades – most people would find the difference between hard shell and soft shell slight, but we like to keep everyone happy. 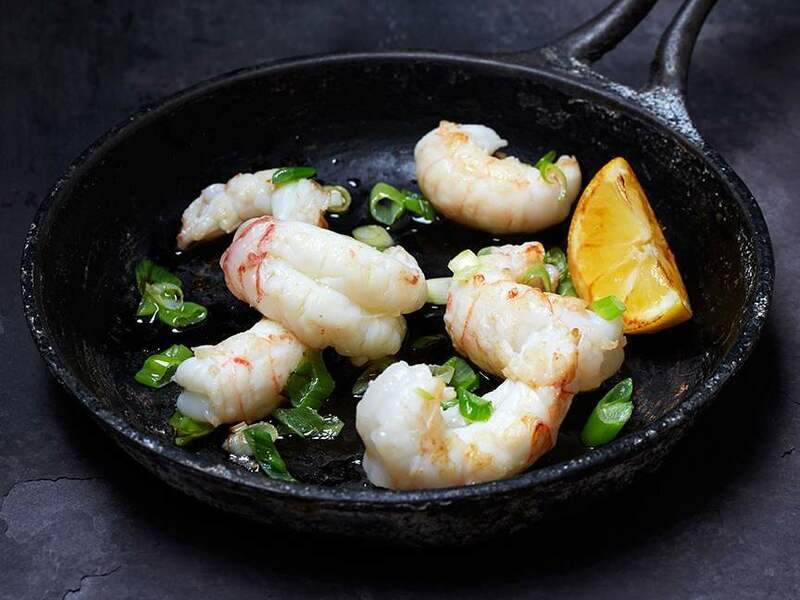 These prawns from Greenland have been one of our best selling lines for over 20 years. Cooked and ready to eat. We have tasted many cold water prawns and have absolutely no doubt that these are the finest. These are the pink prawns that you commonly fine in prawn cocktails and salads. They are sweet and soft. 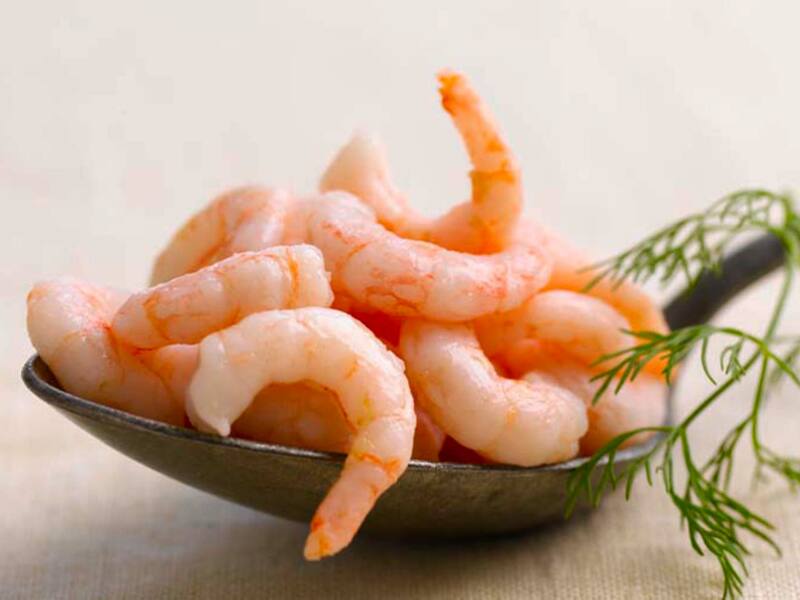 Our cold water prawns are almost always MSC certified making them a great sustainability choice. We sell many kinds of white crab meat from all over the world, including from snow crab and king crab. They all have their fans but this fine English crab meat, which we source from Devon and Cornwall, is always the most popular: the big luscious chunks from the claws of good old brown crabs are very hard to beat. Our crab claw meat is hand-picked to order at the quayside in the West Country. This crab meat is cooked, we will only ever sell you cooked crab meat as it has to be cooked to extract it from the shell. That’s our plat des fruits de mer – a selection of scrumptious shellfish to excite the eye as much as the tastebuds. It’s always popular at Christmas. It contains eight kinds of shellfish. The obvious Christmas favourites … prawns, smoked salmon, lobster … are right here. Amongst them we have included a few other items much favoured by fish-lovers at Christmas – scampi, caviar, black cod and king crab.